Following Germany’s invasion of Poland, Britain and France declared war on Germany but did not actually attack the Germans. Although the Royal Navy blockaded German ports, and German U-boats and surface raiders hunted Allied shipping, the situation in Europe remained deceptively calm. In fact, it was so calm that people described the war as the Phoney War. While the combined forces of Holland, Belgium, Britain and France outnumbered Nazi Germany, Holland and Belgium remained neutral, even after Germany invaded Norway and Denmark. As a result, Holland and Belgium did not coordinate with France and England to plan a combined reaction to a German offensive. France had been a battlefield during WWI and the losses to French manpower had been so extreme that the nation had not fully recovered more than twenty years later. Hoping to avoid a repeat of the previous war, the French had constructed a supposedly impregnable series of fortifications, the Maginot Line, to hold off any German army while a counter-offensive was prepared. Both the French and British military leadership thought that armies moved as slowly as they had in WWI, but the Germans had developed fast-moving armoured units that had trained to work in tandem with Luftwaffe bombers. More important, the Germans launched a two-pronged offensive on May 10, 1940. One prong moved through Holland and Belgium to distract the Allies, while the second prong, made up largely of armoured units, made its way through the Ardennes Forest, where the French defences were weak, thus trapping the Allied armies in a pincer. Faced with the destruction of the British Expeditionary Force (BEF), General the Viscount Lord Gort, the commander of the BEF, decided to fall back to the Channel ports and evacuate the British army, so the Royal Navy mobilized an astonishing fleet of ships, including civilian ferries and personal motorboats. Surviving an ambush, Tommy (Fionn Whitehead), a British soldier, passes through French-manned defences to reach Dunkirk, where he joins one of the long lines of soldiers stretching out into the sea. After meeting Gibson (Aneurin Barnard), the two soldiers attempt to sneak on to a hospital ship but are discovered. 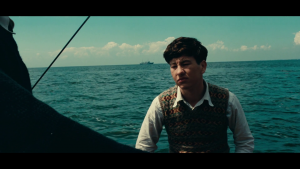 When the hospital ship is sunk by German bombers, Tommy saves Alex (Harry Styles) from being crushed between the ship and the Mole. 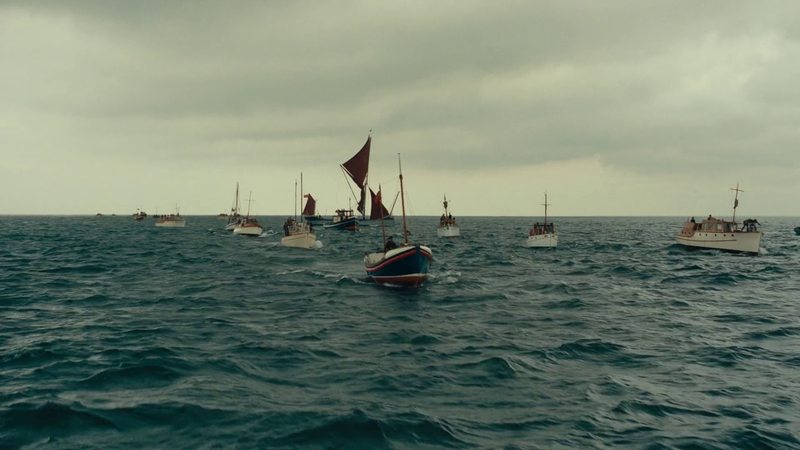 Back in England, small ships are being requisitioned to cross the Channel and bring men back from Dunkirk. 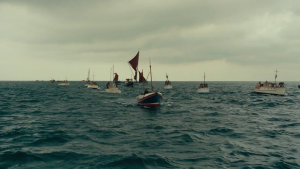 Most are manned by sailors but one ship is crewed by Dawson (Mark Rylance), its owner, his son Peter (Tom Glynn-Carney) and Peter’s teenaged friend George (Barry Keoghan). 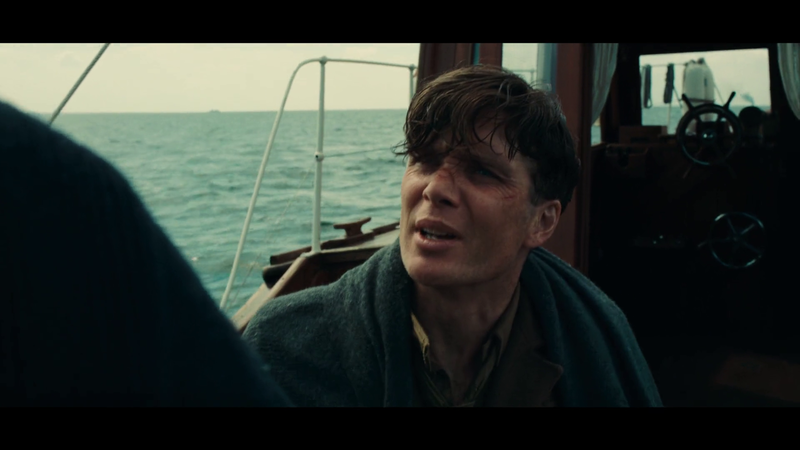 On the trip to Dunkirk, Dawson rescues a shell-shocked soldier (Cillian Murphy), who reacts violently when he learns that they are going to Dunkirk, not back to England, and George is badly injured during the struggle. At the same time, a flight of three RAF Spitfires flies to Dunkirk to provide much-needed air cover. “The enemy have driven the British and French armies to the sea. 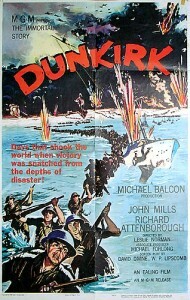 Trapped at Dunkirk they await their fate. Hoping for deliverance. For a miracle.” That is pretty much all the background provided by the script. 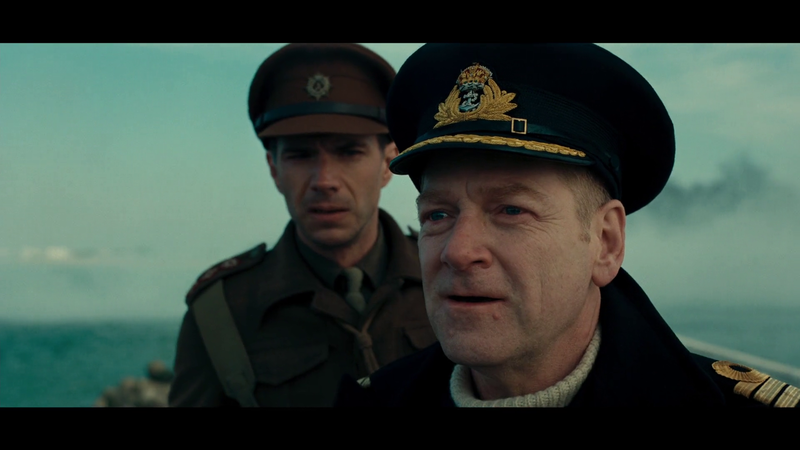 Before I start doing what I do, I will acknowledge that the film is a relatively accurate portrayal of one day in the evacuation, I am primarily criticizing director Christopher Nolan’s decision to perpetuate the myth that the fleet of Little Ships, not the destroyers, made the evacuation at Dunkirk possible, even though their main contribution was ferrying men from the beaches to the destroyers and the merchant ships. The errors begin early. 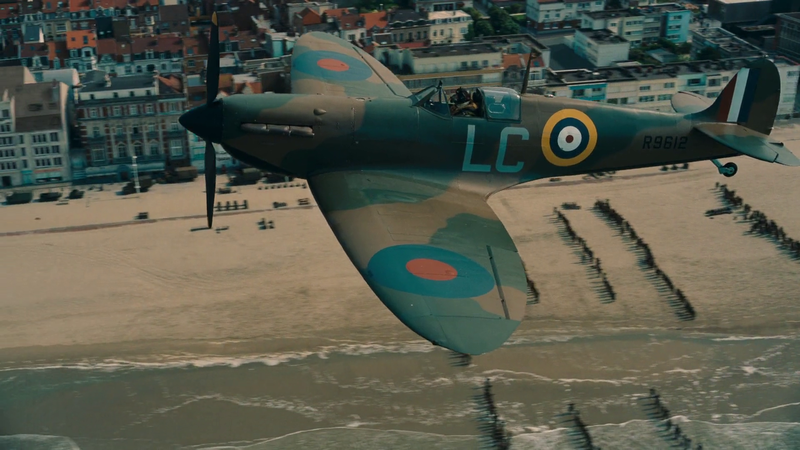 In theory, the film shows one week of the evacuation at Dunkirk, one day of the Little Ships and one hour of the Spitfire pilots. While the latter two are accurate, it is misleading to state that the film presents a week of the evacuation, since the story is told through Tommy’s eyes, and he is only at Dunkirk for roughly 24 hours before he is picked up by Dawson. True, there is a brief scene of the final group of evacuees at the end of the movie, but that is not exactly a week. 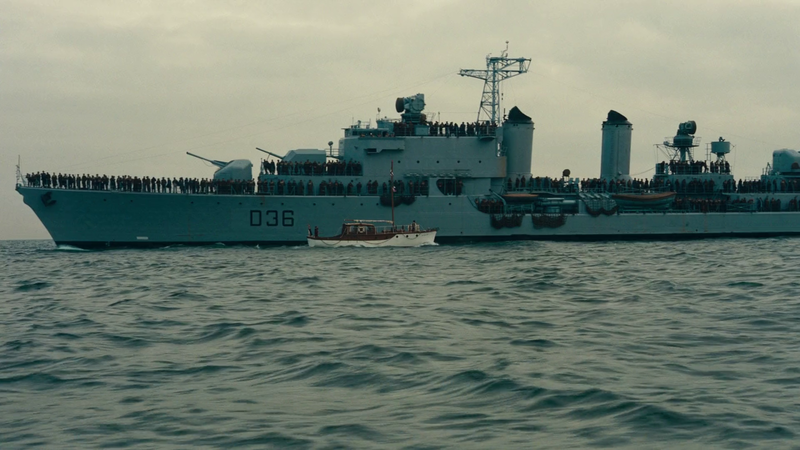 Near the start of the movie, an admiral explains that the men have to be evacuated because we need our army, we’re next. They expect to rescue 45,000 men but there are 400,000 men on the beach. Admittedly, this is an accurate description of the daunting challenge that faced the men in charge of the evacuation at the beginning. 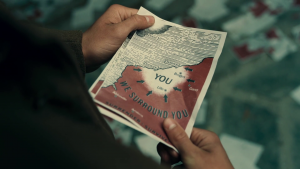 However, the story starts after the evacuation had been underway for an unspecified period of time, long enough for the Germans to produce fliers showing that the Allied troops are surrounded. One would presume that some troops had already been evacuated by that time, and one would be right. The actual evacuation began on May 26, and it had become clear by the following evening that ferrying troops from the beaches to the waiting ships was far too slow, so Captain W. G. Tennant, who was supervising the evacuation, made the decision to use the East Mole, a 1,600 meter-long artificial barrier that had been built to shelter the harbour entrance from storms. The Mole’s wooden walkway was wide enough for four men, but loading could only take place at high tide. 17,000 men were evacuated on May 28, the first full day of the evacuation. Even though three destroyers and five passenger ships were sunk on May 29, 47,000 men were still taken away that day. By May 30, the embarkation had become more efficient, and bad weather ensured that there was little interference from the Luftwaffe, therefore 53,000 men were evacuated, 29,000 from the beaches and 24,000 from the harbour. As the tide came in, the men at the head of a queue would feel the water rising above their knees and then their stomachs but they would not risk losing their place in line to move away until it had reached their necks. However, the screen version of events paints a much more negative picture. Commander Bolton (Kenneth Branagh), the naval commander in charge of the evacuation, explains that they can not evacuate men from the beach because they don’t have enough small boats to ferry men to the destroyers. Later, he is about to give into despair until he sees the arrival of the Little Ships. Bolton’s despair is understandable, since the navy has been struggling to take any troops out of the harbor. In fact, the movie only shows three naval ships: a hospital ship, a destroyer and minesweeper, but all three ships are sunk. Although the real Little Ships primarily ferried men from the beaches to the naval ships and merchantmen, this vital process receives a single, fleeting scene, where troops are brought to a minesweeper, which is promptly sunk. The only men shown making it safely back to England were brought back by Dawson on one of the Little Ships, therefore viewers would naturally conclude that the destroyers had failed. The real evacuation ended on June 4, having saved 338,226 men. Despite the myth of the Little Ships, one third of the troops were evacuated on destroyers. 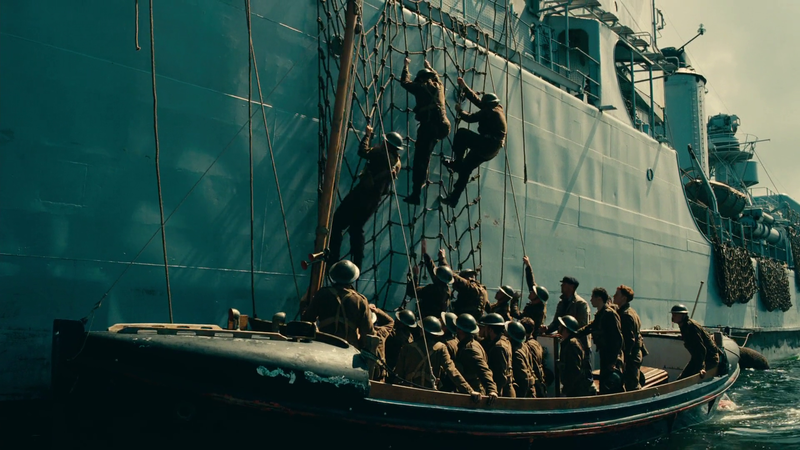 Nearly 200,000 of the 338,000 men taken from Dunkirk boarded ships from the Mole. Since most of its destroyers were already committed to the Mediterranean, Asia or the Norwegian campaign, the navy requisitioned thirty passenger ferries and forty Dutch schuyts (small coastal ships with a crew of three), which were given naval crews. 39 destroyers, 38 minesweepers, 18 anti-submarine trawlers, six corvettes, and 80 other small naval craft were assigned to the evacuation. France provided 19 destroyers and 65 civilian ships. Combined with the Merchant Marine and civilian ships, a total of 848 ships assisted with the evacuation. Sooo, how exactly did the Royal Navy manage to organize a fleet of hundreds of small ships? As I have already mentioned, the script is light on details, so the only explanation is a brief comment by Dawson that his ship has been requisitioned by the navy. The script did not bother to state that an announcement following the nine o’clock news on May 14 had requested all owners of self-propelled pleasure craft between thirty and one hundred feet-long to provide the Admiralty with information about the craft within fourteen days. This announcement was based on the orders of an unknown British officer, and was astonishingly foresighted since the BEF had made no indication of needing to retreat and had not even fought a serious battle against the Germans by that time. Within days, the Admiralty had a thick register filled with the names of available ships. Some of the boats’ owners, as well as civilian mechanics and fishermen, became temporary members of the Royal Navy, while retired naval officers and petty officers were brought back into service to man the boats. At one point, the film shows a makeshift jetty that had been constructed by driving trucks into a line stretching into the sea, but there is no explanation why. The real evacuation was painfully slow at first, since the destroyers’ whalers had to be rowed for twenty minutes to reach the shore and could only take 25 men, therefore it took hours to load the thousand men that was a destroyer’s maximum load. Hoping to speed up the evacuation, trucks were driven out into the water head-to-tail during low tide to form a rough pier on May 28. While the screen aerial bombardments left me shivering in my comfy armchair, they are more one-sided than those that took place during the actual evacuation. Ships that approached or left Dunkirk were frequently attacked mercilessly by Stuka dive-bombers. The destroyers could at least fire back but the civilian ships had to try to dodge the bombs and hope for the best. Despite the perception of the soldiers and sailors on the ships, the fighting was not one-sided. The Stuka pilots referred to the raids as the hell over Dunkirk because there was so much anti-aircraft fire. However, there is little anti-aircraft fire in the film, presumably to highlight the defencelessness of the soldiers. 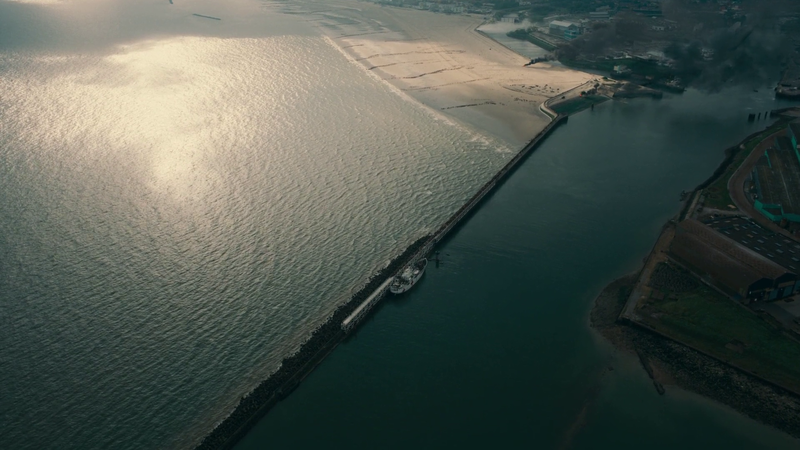 The film has an excellent start, especially the entire process of boarding the hospital ship, which had my heart pounding. If Nolan had maintained the same quality of storytelling throughout the film, then it would have been a masterpiece. Unfortunately, the remaining two-thirds of the movie are disappointing. 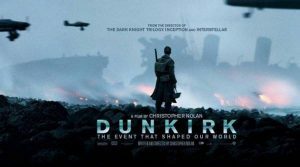 In the end, Dunkirk is essentially forty minutes of story shown three times from different perspectives. While the approach is a bit confusing, and honestly unnecessary, the film’s main weakness is that it takes a script suitable for a television episode and transforms it into a movie by simply showing the same scenes over and over. More important, the evacuation was carried out from May 26 to June 4, but since there are no dates in the film, viewers have no real feeling for how long it lasted. 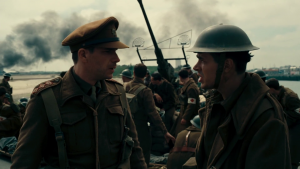 Far too much time is spent on Cillian Murphy’s shell-shocked soldier and Mark Rylance’s wise, middle-aged pleasure boat captain. The star of the period gangster show Peaky Blinders, Murphy’s character Tommy Shelby spends much of his time struggling to keep it together, as he pretends to be unfazed by the insane situations he finds himself in, so Murphy could play his shell-shocked character in his sleep. I have a feeling that the character of George was supposed to represent the civilians who died during the evacuation, but that purpose could have been served much more effectively by having him killed by shrapnel during an aerial bombardment, rather than fatally wounded while trying to restrain a shell-shocked soldier. 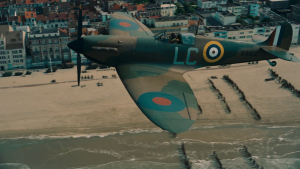 Director Christopher Nolan seems determined to rehabilitate the reputation of the RAF, therefore the Spitfire pilots, especially Tom Hardy’s character Farrier, receive a surprising amount of screen time. 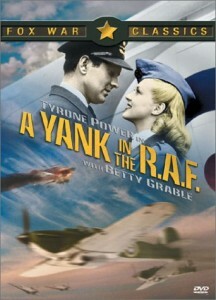 While the favorable portrayal of the RAF is laudable, especially the repeated emphasis that the pilots had to watch their fuel carefully in order to have enough for the return trip to England, Nolan goes overboard. Farrier proves to be an ace pilot, who wins all three dogfights, and even manages to shoot down another fighter when he is coasting after running out of fuel. 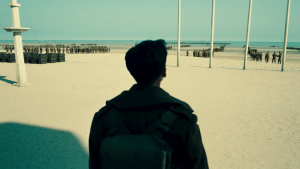 There is no denying that Farrier’s final flight past the length of the beach was stunning, but apparently it was insufficiently dramatic, so Nolan added a lengthy scene where Farrier struggles to get his landing gear to work. While my opinion of the movie has been mainly negative, there were a few bright spots. When Tommy, Gibson and Alex collapse on the beach after swimming to shore when their destroyer was torpedoed, the camera silently captures their exhaustion and despair. Furthermore, there are several nightmarish scenes of men trapped in ships that are keeling over, or men in an oil patch that catches fire, who hold their breath but are burned when they have to come up for air. 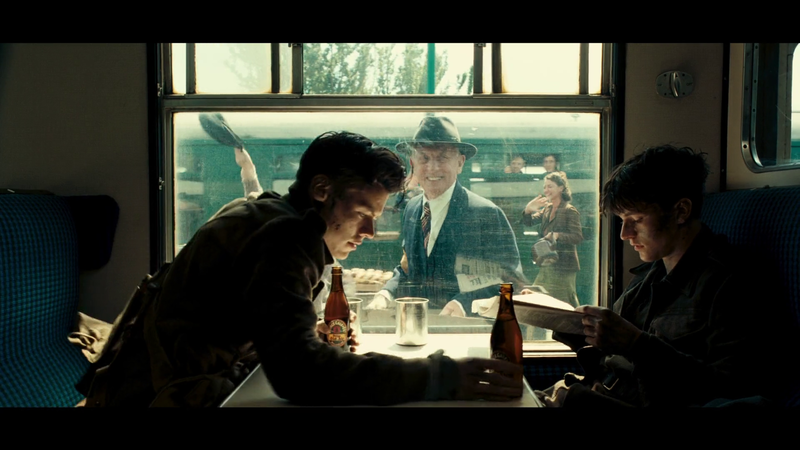 I liked the entire trip on the train, especially when Tommy receives a newspaper and reads Churchill’s famous “We shall fight on the beaches” speech out loud. It is true that the returning troops were surprised to be treated as heroes when they got back to England. 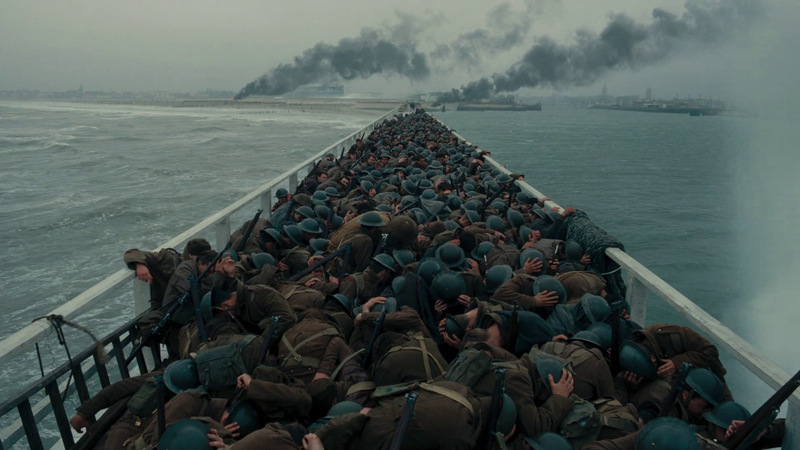 To give credit, Nolan avoids shoving a crowd-pleasing battle sequence into the film, instead he focuses on the evacuation, which was the actual victory, or at least a small victory in the face of a crushing defeat. 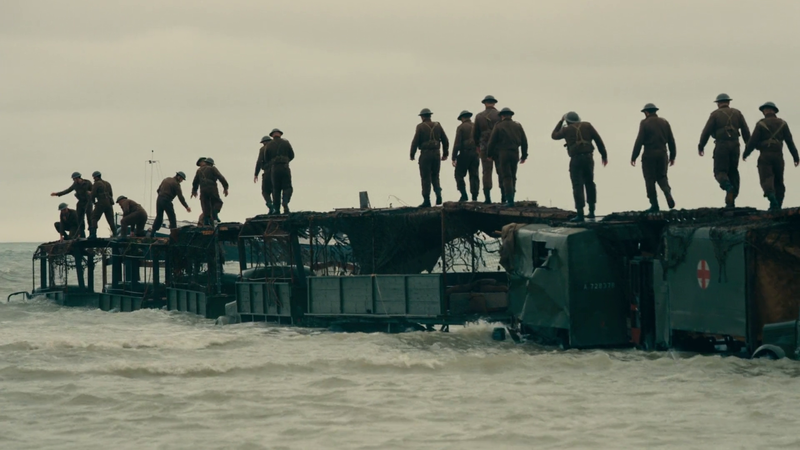 I will admit that the film is beautiful, and the recreation of Dunkirk is superb. If there had been a bit more context and a more coherent narrative that included dates and numbers, it would have been a truly great film. Christopher Nolan had a vision of a waking nightmare, a mix of terror and confusion. 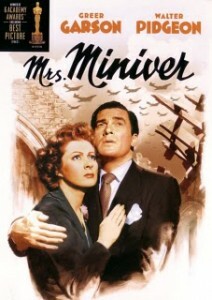 Since he wrote the screenplay and directed the film, he succeeded in transferring his vision from his mind to the screen. As a work of art, that is an admirable achievement. As a portrayal of a key moment in WWII, it is less successful. Good review. You actually liked it more than I did. I was very disappointed by it. I am still shocked at the accolades it got. My God, Best Picture? The movie is an outstanding example of the gulf that exists between what the general public thinks is a good war movie and what you and I think is good. I did not mind Nolan’s creativity. I did mind his fudging history and flubbing a great topic. BTW I have created a Facebook group called War Movie Lovers that you might consider joining. I’d love your input. I had to strain to be fair, I was quite disappointed by the film considering the hype. Been busy with other stuff, but I will take a look at your Facebook group, sounds interesting.